Flanders – the northern region of Belgium – offers a unique blend of advantages and opportunities to businesses looking for a strategic location for a new project, in any shape or form. Thousands of foreign companies are already benefiting from these assets. How about you? 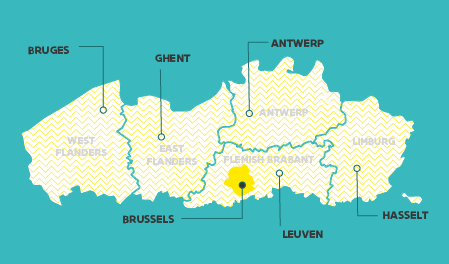 Flanders can be found at the very center of Europe’s most prosperous region. The purchasing power of its residents and those living within 500 km of the region makes it a prime business location. As such, Flanders takes center stage within a megalopolis stretching from the London region to the Netherlands, Belgium, and parts of Germany and France. This area is home to no less than 60% of Europe’s purchasing power and covers one of the world’s highest concentrations of people, money and industries. In short, there’s just no better place than Flanders to prepare your business plans or start up your business activities in order to reap the rewards of commerce in the European mainland, the Middle East and Africa. Brussels, the capital of Flanders (Belgium), is home to numerous international corporations and intergovernmental decision-making organizations, such as the EU and NATO. It can easily be considered Europe’s lobbying capital as well: more than 3,800 diplomats are active in the city – a number that is only surpassed by New York City. It is also the world’s second international conference center by number of events, and the second largest center for advocacy after Washington DC (US). 61% of companies base their public affairs office in Belgium or employ lobbying firms based in Brussels. 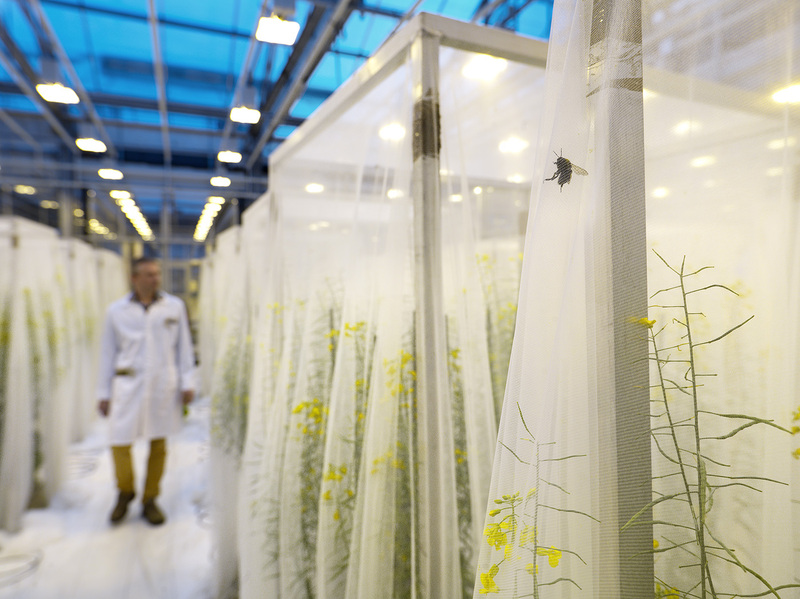 To the World Economic Forum and many other international spectators, Flanders ranks among the world’s elite when it comes to R&D and innovation. Flanders is a top 5 knowledge region in Europe and home to world-famous knowledge institutes and universities. Its strategic research centers – imec, VIB, Flanders Make and VITO – are known the world over. In close partnership with Flanders’ universities – KU Leuven, UGent, Antwerp University, VUB and UHasselt – and the global business world, they contribute to the realization of a sustainable future. Flanders ranks in the top 15 worldwide when it comes to “company spending on R&D”, “availability of the latest technology” and “capacity for innovation” (WEF Global Competitiveness Report 2017-18). Read more about innovation in Flanders. Flanders’ excellent infrastructure offers a one-of-a-kind array of advantages when it comes to setting up European logistics or distribution activities. The seaports of Antwerp, Zeebrugge, Ghent and Ostend are the perfect ocean-going gateways for the fast handling of goods to and from anywhere in the world. Shipping by air? Brussels Airport, Antwerp International Airport and Ostend-Bruges International Airport have you covered. Even further, the road, rail, waterway, and pipeline connections of Flanders are among Europe’s densest – ensuring fast connections with the European hinterland. Discover how Flanders’ infrastructure can support your business. Our connectivity is well-praised by the Financial Times Intelligence’s list of “European cities and regions of the future 2016-2017”. Furthermore, the Prologis or World Bank Logistical Performance Index confirms our logistical supremacy in Europe and the world. Thanks to lower inbound transport costs, advantageous rental prices for warehouses and attractive fiscal conditions, supply chain costs in Flanders are very competitive. According to fDi Intelligence, prime rent in Belgium – and Flanders – is one of the lowest in Western Europe. Find out more about real estate in Flanders. 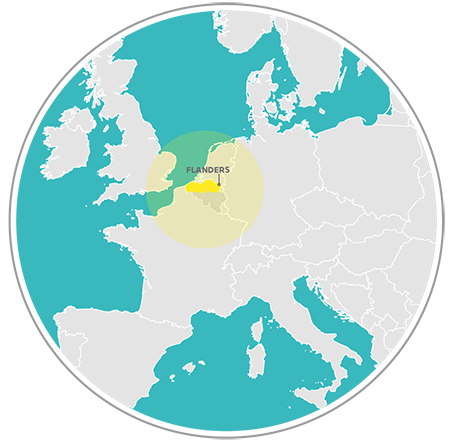 The workforce of Flanders is multilingual, highly-educated, and loyal. It’s also the 4th most productive labor force in the world, thanks to its diverse culture and the close proximity of top-ranked universities and educational institutions. Flanders’ educational system is internationally renowned. Especially in math and sciences, Flanders boasts excellent results. Our engineering training programs are very practice-oriented. Each year, many multitalented and multilingual engineers graduate from universities of Flanders, offering unique capabilities for cross-cultural collaboration and problem-solving (WEF). The government provides companies and employees with the right employment framework, significant reductions in social security contributions, different types of labor incentives and appealing labor schemes. These include temporary unemployment and flexible working hours. In this way, the effective labor costs are highly competitive compared to other locations throughout Europe. For the R&D of innovative products and processes, the government of Flanders awards generous grants and subsidies (up to a rate of 60%). According to Deloitte (US), Flanders even offers the best R&D related incentives in Europe. The result? Heavily reduced employment costs, which give Flanders-based companies a major advantage over competitors in neighboring countries when it comes to attracting talent. In addition, Flanders Innovation & Entrepreneurship (VLAIO) offers a one-stop-shop for non-refundable grants in direct support of R&D programs. Low cost, high quality; this is what makes Flanders one of the top locations for businesses and their employees. It’s a safe and affordable region with a rich cultural heritage and one-of-a-kind art-de-vivre. Flanders is also home to various international schools and offers some of the highest-quality health care services in the world. To top it all off, the people of Flanders are great lovers of life, with a penchant for excellent food, top-notch products and profound social connection. Explore the balanced, vivid lifestyle of Flanders. Situated at the crossroads of three major cultures — Germanic, Roman, and Anglo-Saxon — the people of Flanders are open to all sorts of influences. In addition, international business cities like Antwerp and Brussels have thriving expat communities. This, and the high purchasing power, makes Flanders the ideal test market for innovations and new products. Why Flanders is a blueprint of the European market. True to the region’s no-nonsense culture, setting up a subsidiary in Flanders is fast and easy. No formalities regarding share transfers, other than registration of the transfer in the company’s share register. Learn more about setting up a branch or subsidiary in Flanders. 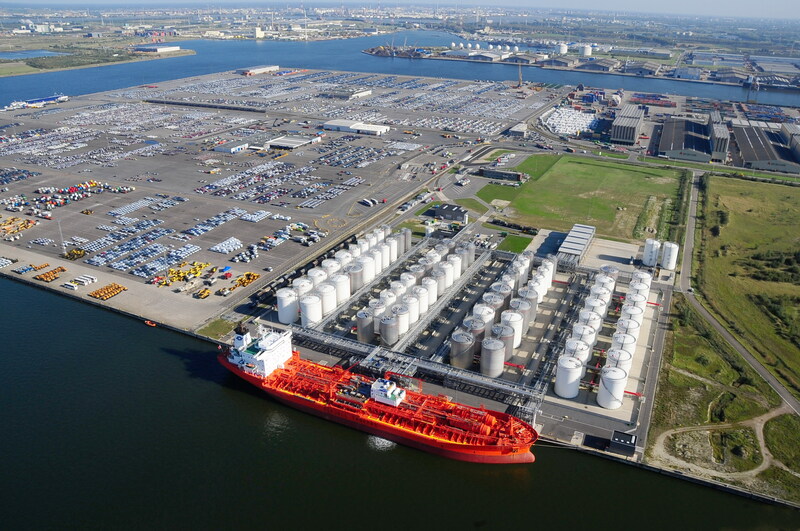 Easily accessible and centrally located, the Port of Antwerp is key to Flanders’ renowned chemical industry. The port houses five oil refineries and four steam crackers. With over 300 different chemicals and 500 chemical companies it has the most diverse portfolio in the world. A state-of-the-art pipeline network facilitate product interchange. Antwerp is the largest chemical cluster in Europe, and the second largest worldwide. Companies benefit from this cluster configuration, as it enables them to integrate their activities with those of other companies – e.g. suppliers – in a stable business environment. According to the World Trade Report, Belgium – including Flanders – is one of the top 15 exporting countries in the world. Its exportation per capita is among the highest worldwide. To put this in perspective: Flanders is responsible for 83% of Belgian exports and imports. 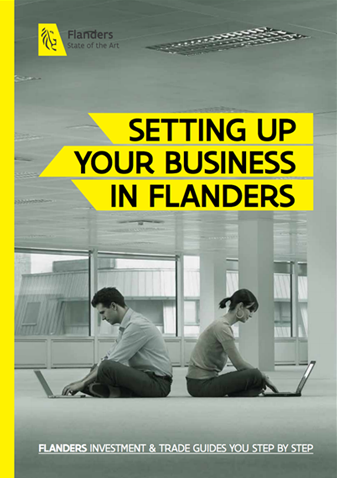 Need assistance in getting your business settled in Flanders? Flanders Investment & Trade (FIT) offers a variety of professional tools, services and expert resources that will have you up and running as soon as possible. FIT offers locally-tailored support, confidentially and free of charge around the clock.